The Sindh government has expressed its reservation over the federal government�s insistence to rely solely on imported coal for the Gadani power project and said that the PML N led government�s decision was fundamentally against the development of Thar coal. �The federal government is diverting all focus and resources towards the Gadani project leaving nothing for Thar. 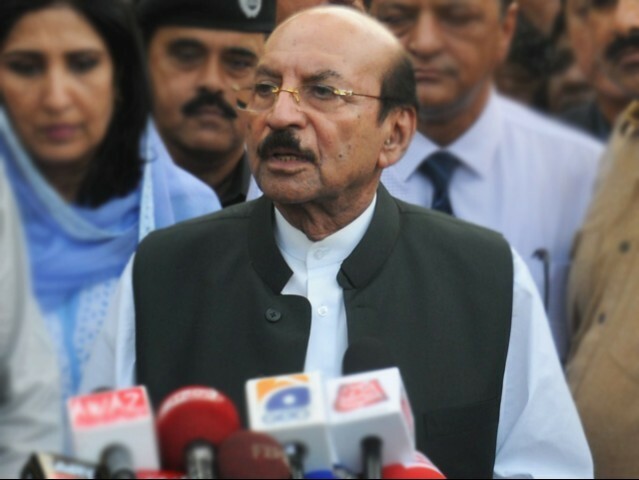 We are not against the development and the power project proposed in Balochistan, but Thar should be given equal priority,� said Chief Minister Syed Qaim Ali Shah while presiding over a meeting with Sindh Engro Coal Mining Company (SECMC) and Thar Power Company (TPC) at the Chief Minister House on Monday. The meeting broadly discussed SECMC�s progress on the Thar coal project, and formed a steering committee comprising Adviser Finance Murad Ali Shah, Chairman Sindh Board of Investment Muhammad Zubair Motiwala and secretary energy to expedite the scientific and technical formal work. �The meeting also decided that representatives of the Sindh government would hold meetings with the prime minister to impress upon the federal government to take both Gadani and Thar together,� said a spokesperson. The committee formed will request the federal government to resolve all outstanding problems related to the ministries of finance, water and power, petroleum and natural resources and railways. The chief minister stressed on the need for utilisation of indigenous coal. CEO SECMC Shamsuddin Shaikh, who delivered the presentation on SECMC�s progress on the Thar Coal Power Project, said that the government of Sindh and Engro have worked hard to bring the dream of Thar closer to reality. The project cost has been significantly reduced, by upto 40% the company has made headway on financing the project. Chinese banks have expressed willingess to support the power project without Sovereign Guarantee, said Shaikh, adding the Council of Common Interests has agreed in principle to allow the blending of Thar Coal in a new 1,200 megawatt power plant at Jamshoro. He further told the meeting that the power project can be completed in three years as of Jan 2014 � earlier than any other power project being envisaged. The house was briefed about the cost effectiveness of the Thar Coal project and a comparison was made between proposed power plants in Gadani and Thar explaining different angles of both the projects.